“Choosing joy is simple. You decide to lean into joy. You take a look around and notice the colors, the light and shadows, the beautiful forms around you. You smile. You feel a lightning of your spirits. Then life intervenes. You get busy. You hear the news. You learn that a friend is in the hospital (or you are in the hospital yourself.) You realize that you have forgotten to choose joy. No problem. You remember your choice and begin again. You notice the texture of your clothing against your skin. You feel the air as it caresses your cheek. You smile. You feel your spirits rise. 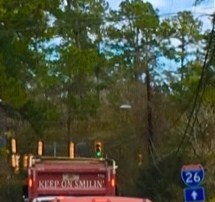 Yesterday on my way home from getting my taxes done in Goose Creek…( I came out a little on the good “refund” side so I am happy about that…even happier to have the process complete and checked off) I saw a truck that I occasionally see in the lowcountry area. It was a couple of cars up from me but I could just see the tip top of the lettering and it always makes me smile. Linda Carson first made me aware of this truck when she sent me a picture and told me how happy it made her when she catches it on her way to work some days. A simple message “Keep on Smiling”….but what a difference it makes to so many who see it….it starts our days off right or end wonderfully. 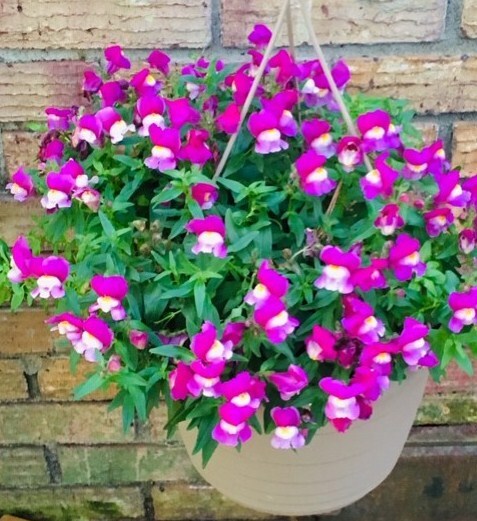 When I went to feed the birds I saw this hanging basket along side my driveway…so pretty in its beautiful simplicity…and joy filled me. 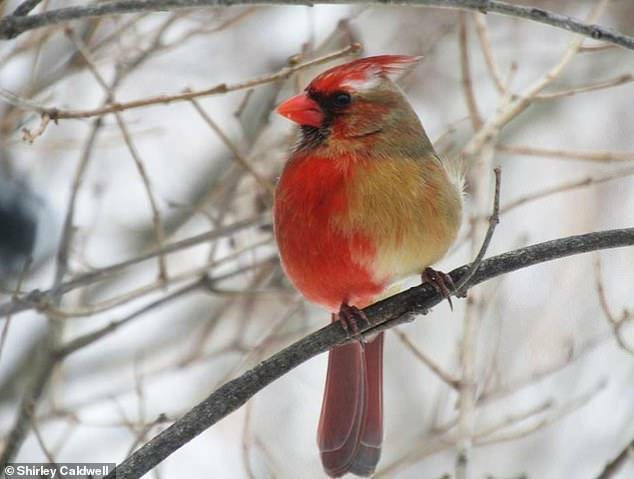 Then my wonderful neighbor, Vickie, sent me this picture from an article showing a half-male, half-female cardinal discovered in Erie, Pennsylvania….An one in a million rarity of this genetic occurrence. Studies of these rare genetic birds show that the affected cardinals never have a mate or sing…which makes me kinda sad. They are accepted by other cardinals but largely ignored since they don’t have a mate. But what a beautiful design God gave this little creature. All of these things yesterday brought pockets or moments of joy to me but let me confess a true “pocket of joy” that I play occasionally. 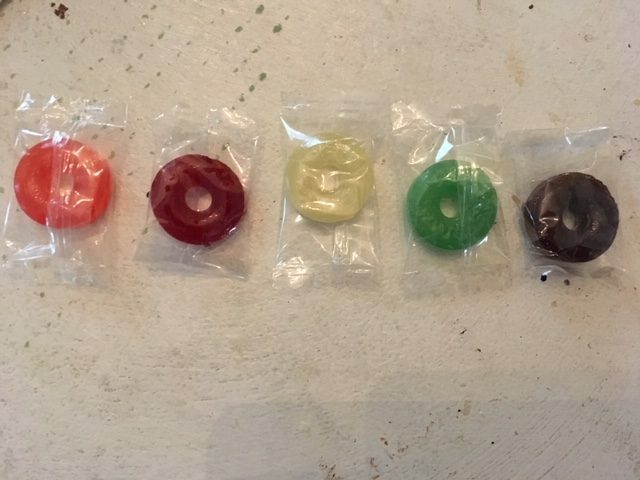 I love life-savers so about once a month I buy a bag of them, all separately wrapped, and put one of each color down in one of the pockets in my new handbag for about a week. While driving I will randomly feel for a lifesaver…whichever one I pull out I eat…but I experience an extra thrill of joy if it is the orange lifesaver…my favorite or the cherry red...my next favorite. (If it is the lime or grape I eat it…but they aren’t my favorites.) It is the suspense of seeing if I can pull a “pocket of joy” or perhaps just a little smile…that makes the day bright and sometimes even brighter. So until tomorrow…Look for joy every single day…because a day without joy is like a day without a smile. Life is too short to miss out on either on any given day.